Unicorns are magical creatures, that is for sure. The thing is, how many of us have actually seen a real life one, other than the ones in our imagination, or on the telly in the form of a CGI creature or animation? Well, since they continue to remain in the realm of imagination that includes them pooping rainbows, what about their farts? Use your very own imagination for that as well with the $6.99 Bag of Unicorn Farts. 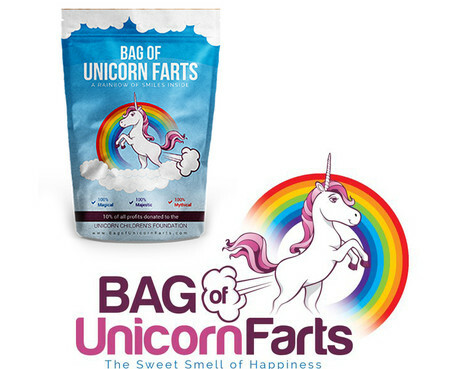 Each bag of Unicorn Farts actually comprises of scented air from essential oils, measuring 9.75” in height and 6.5” wide.